mol ZnI2 can form. How many grams of zinc iodide is this? How many molecules are there in a 3.46-g sample of hydrogen chloride, HCl? (give answers to three significant figures). composition obtained in the previous example (40.0% C, 6.73% H, 53.3% O). chromium compounds are manufactured. It is a bright orange, crystalline substance. 17.5% Na, 39.7% Cr, and 42.8% O. What is the empirical formula of this compound? determined by experiment to be 60.0 amu. What is its molecular formula? is obtained by reacting hematite with carbon monoxide, CO, in a blast furnace. How many grams of iron can be produced from 1.00 kg Fe2O3? Today chlorine is prepared from sodium chloride by electrochemical decomposition. Zinc metal reacts with hydrochloric acid by the following reaction: Zn(s) + 2HCl(aq) —-> ZnCl2(aq) + H2(g) If 0.30 mol Zn is added to hydrochloric acid containing 0.52 mol HCl, how many moles of H2 are produced? containing manganese(II) acetate (catalyst) under pressure at 60C. of reactants? b. How many grams of the excess reactant remain after the reaction is complete? unit conversion process involving mole equalities. The molar mass of NH4NO3 = 80.05 g/mol. Calcium sulfate, CaSO4, is a white, crystalline powder. the mass percentage of C in the coal. mass). How much nitrogen is there in 4.15 kg of fertilizer? In each part, the numerator consists of the mass of the element in one mole of the compound; the denominator is the mass of one mole of the compound. Use the atomic weights of C = 12.01 g/mol; O = 16.00 g/mol; Na = 22.99 g/mol; H = 1.008 g/mol; P = 30.97 g/mol; Co = 58.93 g/mol; and N = 14.01 g/mol. Calculate the percentage composition for each of the following compounds (three significant figures). Which contains more carbon, 6.01 g of glucose, c6h12o6, or 5.85 g of ethanol, C2H6O? Start by calculating the moles of Os and O; then divide each by the smaller number of moles to obtain integers for the empirical formula. An oxide of osmium (symbol Os) is a pale yellow solid. If 2.89 g of the compound contains 2.16 g of osmium, what is its empirical formula? by mass. What is its empirical formula? The formula weight corresponding to the empirical formula c2h6n may be found by adding the respective atomic weights. Therefore, the molecular formula is (C2H6N)2, or c4h12n2. By inspecting the balanced equation, obtain a conversion factor of eight mol CO2 to two mol C4H10. Multiply the given amount of 0.30 moles of C4H10 by the conversion factor to obtain the moles of H2O. Potassium superoxide, KO2, is used in rebreathing gas masks to generate oxygen. If a reaction vessel contains 0.25 mol KO2 and 0.15 mol H2O, what is the limiting reactant? How many moles of oxygen can be produced? a chemical bond resulting from the attraction between oppositely charged ions. A type of molecular notation in which the constituent atoms are joined by lines representing covalent bonds. Those elements that exist in nature with single atoms as their basic units. the percent by mass of a component of a mixture or of a given element in a compound. 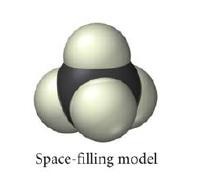 A method used to determine the composition of compounds containing the elements carbon, hydrogen, and occasionally nitrogen. __CaO + __H?O –> __Ca(OH)? __MgO + __SO? –> __MgSO? __C + __O? –> __CO? __Al?(SO?)? + __Ca(OH)? –> __Al(OH)? + __CaSO? __Al + __Cu(NO?)? –> __Cu + __Al(NO?)? __Mg + __Cl? –> __MgCl? __Sn + __HF –> __SnF? + __H?